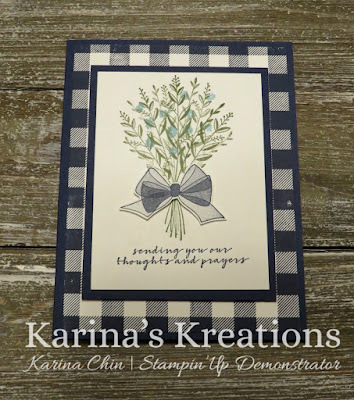 Karina's Kreations: Wishing You Well Sympathy Card! Wishing You Well Sympathy Card! 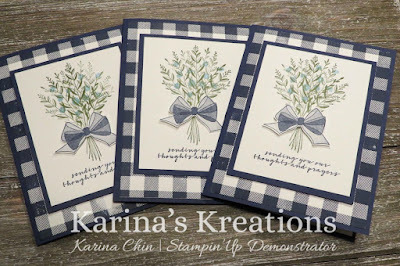 I love the Timeless Tidings stamp set. 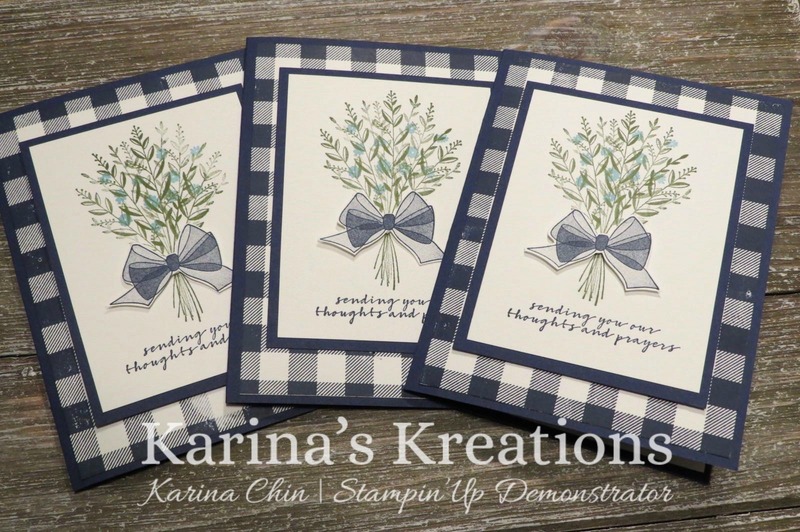 It's so easy to create beautiful cards with this set. I especially love the sympathy sentiment. 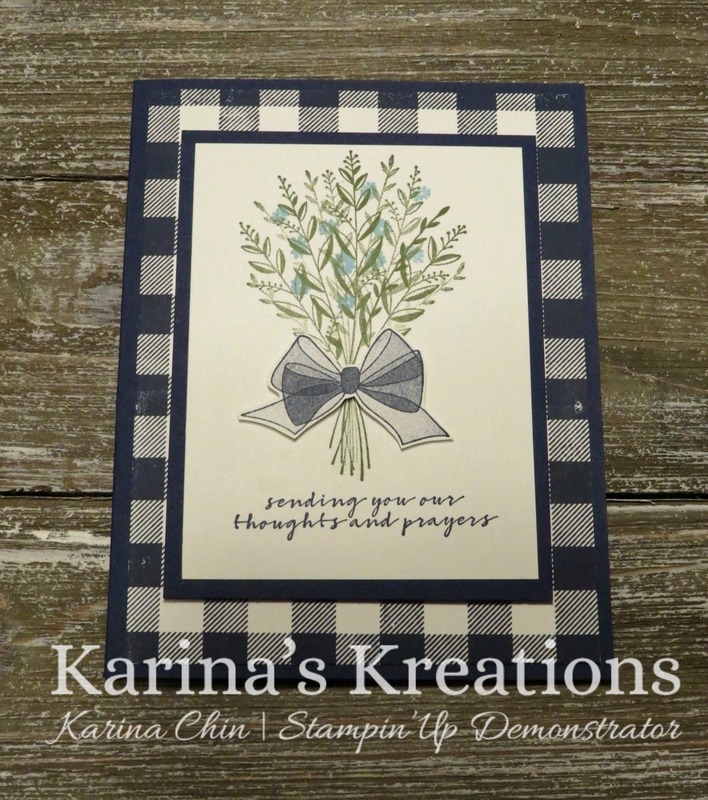 I used the Buffalo Check stamp set as the background for my. It looks so striking with Night of Navy ink on Whisper White card stock. I'm not sure if this set is rolling over so make sure you order it by Jan 1. This is card is perfect for beginner crafters. It's just stamps, paper and ink. Here's the supplies to make this pretty card.